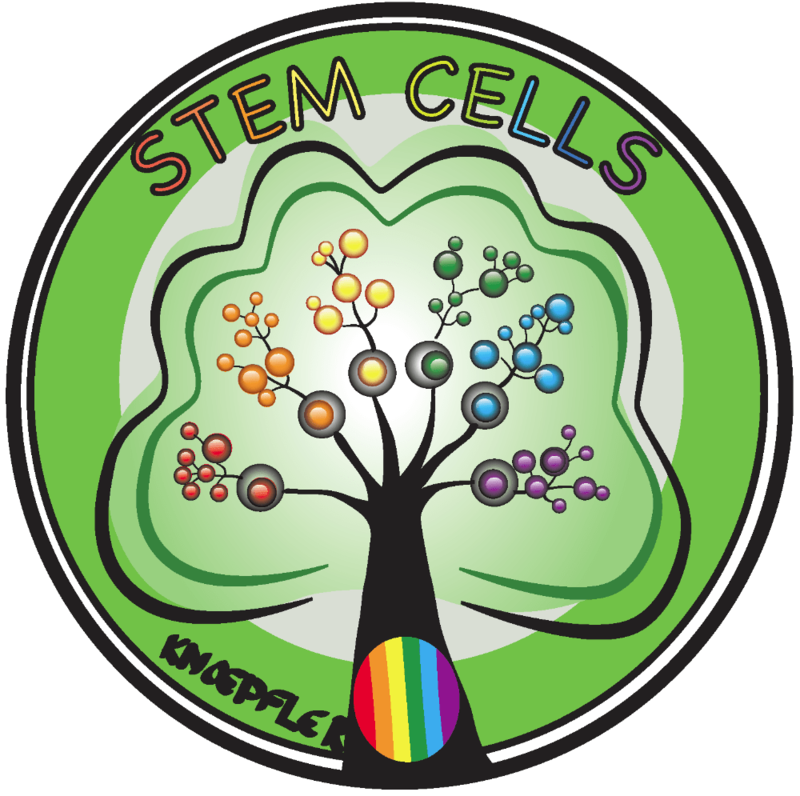 I’m using this occasion to introduce today an important element of my new book, Stem Cells: An Insider’s Guide, and that is a new international stem cell symbol and logo (see at right). Also on this day, online voting begins on a great group of nominees for the Stem Cell Person of the Year 2013. Please vote in the poll below on your choice from the list as to who should be the semifinalists. You can vote up to 4 times in any 24-hour period. Voting will close in 2 weeks on Wednesday October 16 at 11:59PM PT. The top group of 12 vote getters will move on in the process as Finalists. You can read a bit about each nominee in alphabetical order by first name with one or two sentences about them, often taken from the nominator(s) here. Feel free to post comments on your favorites. To all the others, congrats on your stem cells work ,but clincal trials with hESC that cures AMD/ SMD with a patient going 20/400 to 20/40 is awesome. Robert Lanza is my pick. He is in the clinic making a difference treating patients. I like my friennd Don C. Reed, and thanks for for your tireless work. Again congrats to all on the list. We have a cowboy in Texas that was blind but can now ride horses and drive again. We have the first ever FDA-approved eMSC clinical trial for veterinary medicine in animals for 10 diseases. This is a no brainer…. congrats Dr. Lanza and to all for making the list. Just to clarify, ACTC filed an INAD drug trial for veterinary medicine. Apparently vet medicine trials do not require formal FDA approval, the INAD covers that, per Matt Vincent. Paul – I’ve been asked if voting is allowed 4 times a day (meaning 4 different candidates) or if it is 4 times per one candidate if that’s a person’s choice. Could you clarify? Thank you. I set up the poll to allow each person to vote once every 6 hours for any candidate they choose. So you should be able to vote 4 times per day with each of the 4 votes being anyone you want. It could be 4 times for the same candidate or once each for 4 different candidates. These polling programs don’t always work perfectly, but so far it seems to be working fine. Hope this helps clarify. Thank you. That helps immensely and should clear it up for those who are participating in the voting. 4 votes a day for 2 weeks? I like the idea of the survey, but this sounds more like American Idol than a scientific process. I understand the logic of driving traffic to your blog, but c’mon, some of us have day jobs! One person, one vote. As of this morning (10/07/2013), Chris Centeno had over 1100 votes and was well in the vote lead. Now this afternoon, he has less than 500. I suppose if the voting doesn’t go as expected, this site just manipulates accordingly. A sad commentary but not unexpected. No, no manipulation. There were a variety of shenanigans (some intentional, some probably not) with how people voted including one person who voted about 700 times for Dr. Centeno. That’s not fair. Now we’ve stalled? No, there’s something VERY wrong here. Robert goes up; Chris goes down. Please explain what is happening this time. If a candidate’s votes are going up that is simply because people are voting for them. If a candidate’s votes go down it is because I am having to make changes because people are not playing fair with their votes on the poll. For example, yesterday I found some people had voted 50-100 times in a day. That is not permitted. 4 votes/day are allowed. I don’t know how these people are getting around the poll’s rules, but apparently there are ways because it is happening almost every day. I am starting to more regularly block the offender’s from the poll, but still it continues. When I voted in less than 6 hours to the same person, because accidently did not pass 6 hour threshold, I get a message, “Your vote was counted already.” This means that the attempt to make multiple votes is not working which is great, however your claim of a person voting 50 and 100 times is really making no sense at all if a person is unable. Interesting that Centeno had 940+ votes Sunday night. I wake up the next morning and I find his votes dropped to 849. How did he lose 91 votes. Oh yea that is right, you said it before, “…shenanigans!” What a farce! I’m even receiving complaints about the contest and I have nothing to do with it! In response to your answer to Bill, you also adjusted Robert Lanza’s votes at one point. I hope you can find a solution for the final voting because the extra voting and your rejection of some of the votes is making the contest seem manipulated to some people. What about one vote per day per IP address? Period. As it is now, you could actually be disqualifying some votes from households where multiple people are voting. May I suggest an independent entity run the polling. It will eliminate any fraudulent voting. It looks very suspicious when you write that you have had to remove votes because someone voted 50-100 times in a day. A third party would eliminate conflict of interest. The daily results do not pass the sniff test…. Keep in mind everyone that the top 12 vote getters here move on equally as finalists. From my view there is no real “winning” this preliminary vote. The important place to watch in the next few days, in my opinion, is around the #12 spot in the voting. I sent this message out to all my FB friends and many friends on LinkedIn. After my two hour campaign, effort you dropped Dr. Centeno from 975 to 919 right in front of my eyes, and I guarantee my family and friends weren’t cheating! And I definitely got Dr. Centeno at least 75 more votes all by myself! There are definitely some “shenanigans” going on here……I am very disillusioned! This is not a fair contest whatsoever. I’ve never seen a more competitive industry in my whole life. I’m trying to make it as fair as possible. Most people are following the rules. I’m sure you are as well as your family are following the rules.I trust you. But especially today one or more “bad eggs” have done everything they possibly can to cheat the poll. This despite the fact that there is no “winner” in this poll. All the top 12 vote getters move on as finalists. I can’t help it if the cheaters all lately seem to be doing this for one particular candidate. They are not fair. If I see cheating in the analytical tool I use, I have to take action to correct that. I’m not deleting votes at random, but only in cases where cheating is apparent. Tell people to stop cheating. Interesting you would ask “me” to tell people to stop cheating. I can’t tell anyone I know to stop cheating because I don’t know anyone from my personal circle that is cheating…If you know who they are why don’t you expose them, get it out in the open and be done with it!!!??? This is totally silly!!! Wouldn’t one vote per person be a true sign of an individual’s talents as a leading pioneer working in the field of Stem Cells rather than this being a popularity contest? With all the concerns I have been reading about the voting count, this reminds me of every election in Chicago…. Why did you close the voting early? I was trying to vote at 12:10 MST. You stated the voting would close at 11:59 pm PT. I really think there were some irregularities with this contest which is disappointing. Dade County, Florida is looking for a new Voting Commissioner. Paul maybe you’re interested?